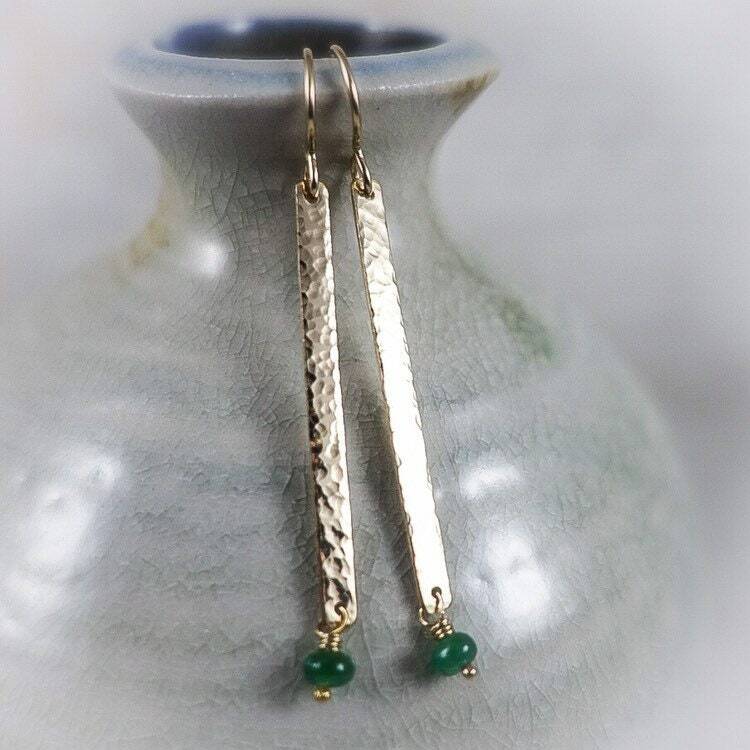 Hammered textured 14k gold fill bars suspend tiny faceted rubies. They hang approximately 2 inches from 14k gold full ear wires. Rubber ear clutches for security. 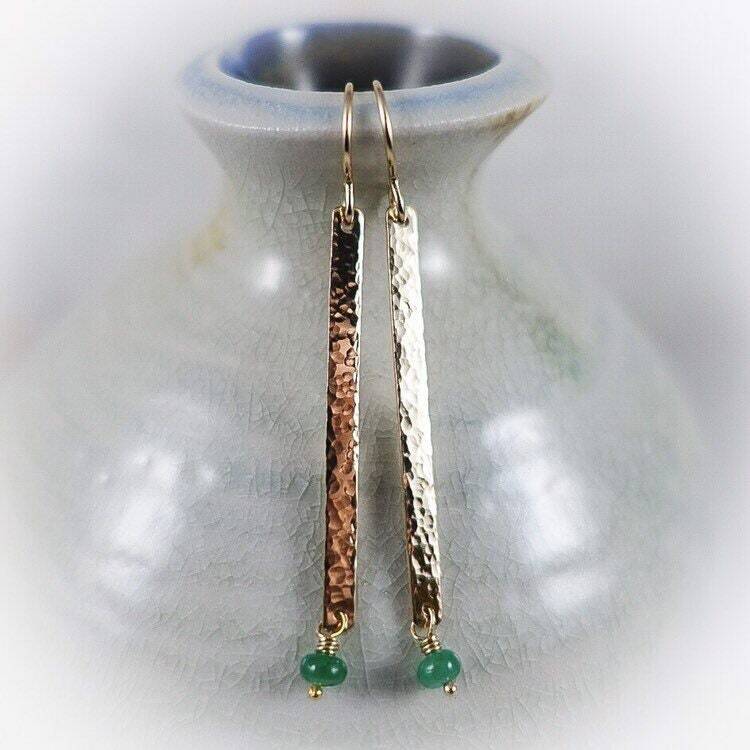 These had forged earrings reflect radiate the light. Emerald rondelles are wired in gold fill and have movement.